Cuticles – Come November, my cuticles start to really dry out and hangnails galore start to appear. I keep a container of coconut oil by my bedside and rub a pea-sized amount onto each cuticle every night. For an added way to lock in moisture, I put aloe gloves on my hands for a few hours. The way your hands and cuticles will feel after is amazing. Hands – Going beyond cuticles, my entire hands seem to dry up during the colder days. Being a gym fanatic, I have calluses on my hands as well that get even dryer! Aside from my nightly cuticle ritual, I make sure to take about a teaspoon of coconut oil and thoroughly rub it into my hands and calluses. To exfoliate your hands during the process, try my lemon scrub. Your hands will feel silky smooth after these treatments. Face – I could write a novel on how dry my face becomes with cold weather, my nose especially. I carry coconut oil travel pouches with me to always have on hand. Try putting coconut oil on your entire face before bedtime and then just a little before a makeup application to prevent excess dryness. I also rub coconut oil onto my nose if I get any redness or cracks. Lips – Winter months can leave lips severely dry and chapped. To prevent this, I make my own all-natural lip balm, which contains coconut oil and peppermint extract. You can also rub coconut oil straight onto your lips for protection and relief. Legs and Feet – Even though we are bundled up with jeans and socks for most of the winter, it’s important to not neglect your legs and feet. To avoid this, I make my own shaving lotion and am sure to always moisturize with this whipped body lotion. For added moisture and care, I use this foot scrub once a month to ensure extra softness on my legs and feet. Be sure to try these tips this winter season and even on a daily basis when the weather is warmer. 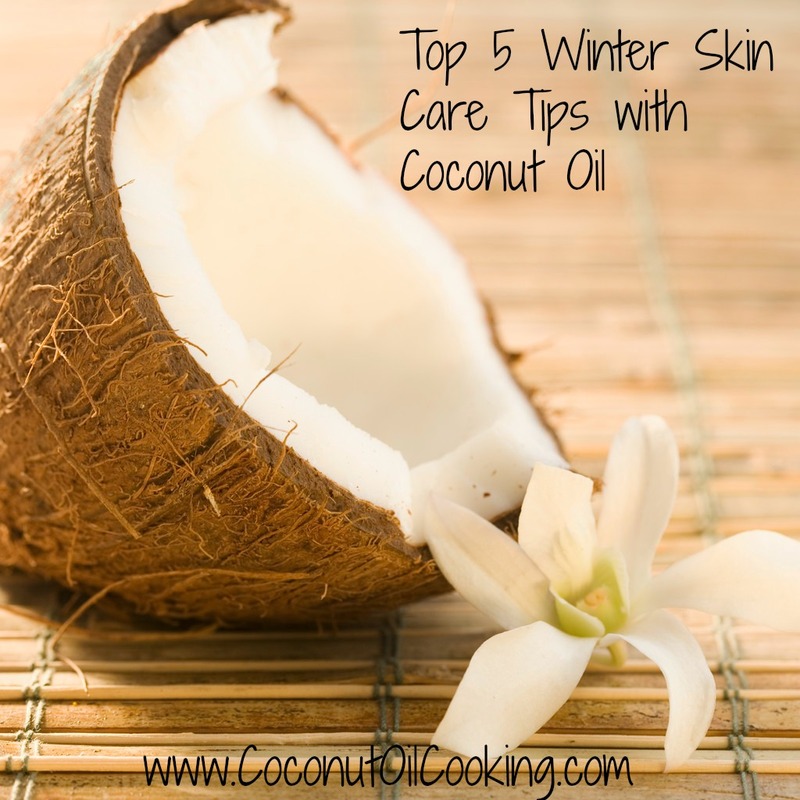 Coconut oil is a wonderful all-natural way to achieve moisture, especially for those with sensitive skin. 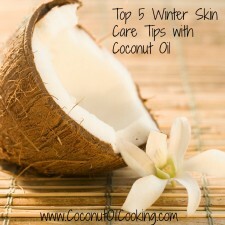 For more uses on coconut oil, be sure to check out this blog. Is there a recipe out there for a homemade coconut oil moisturing lotion or a base for people that have eczema or just really dry skin?